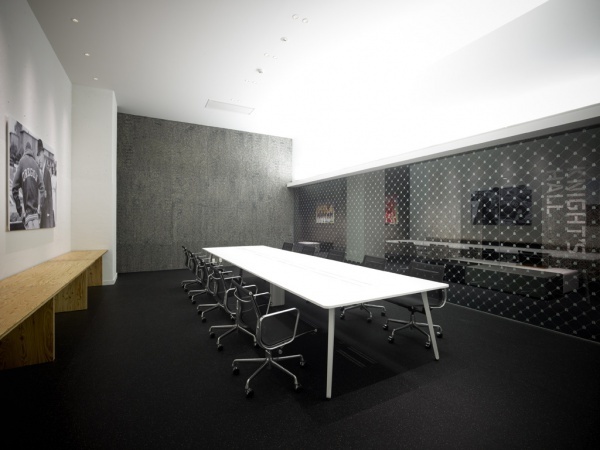 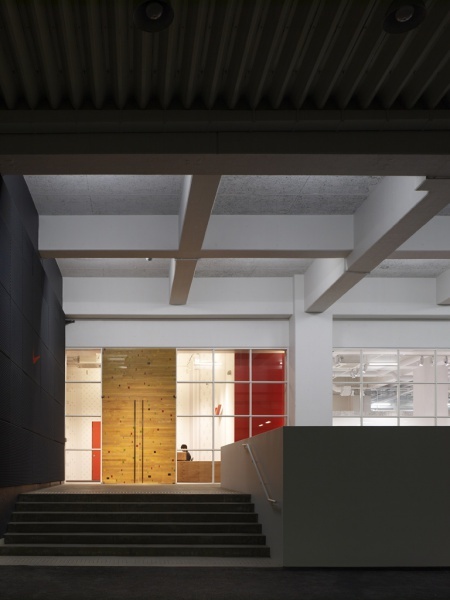 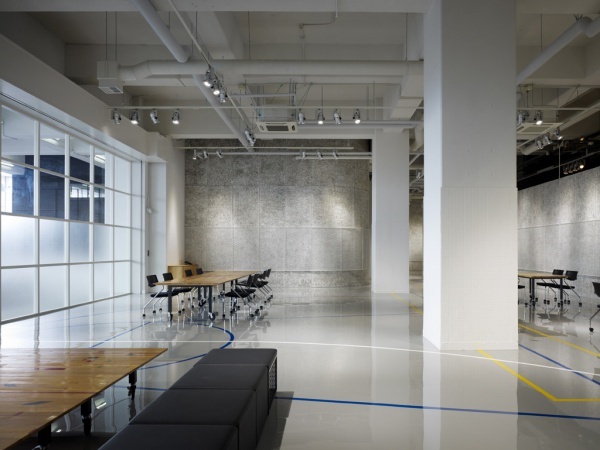 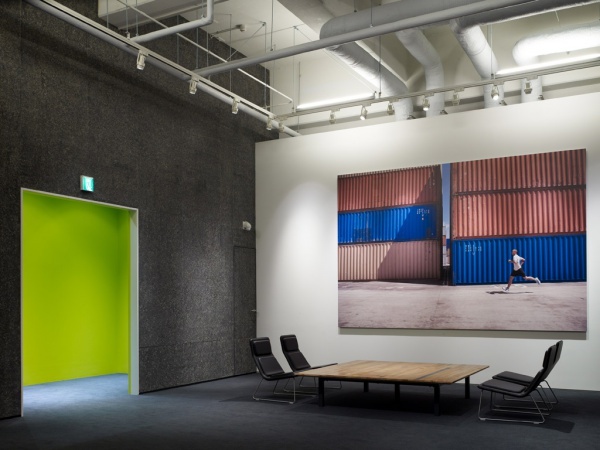 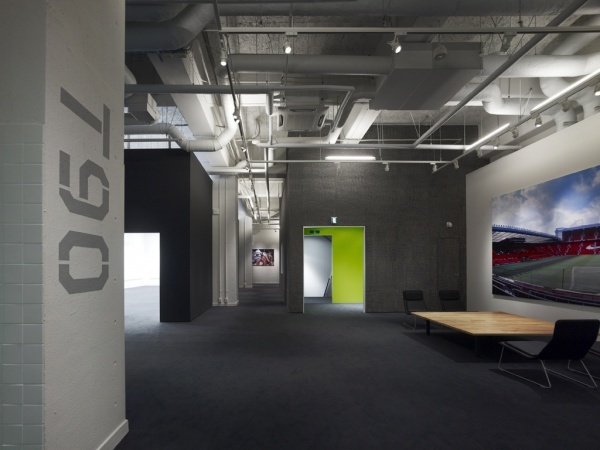 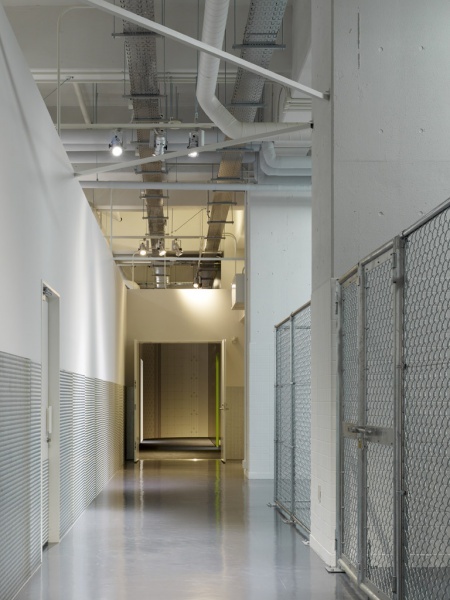 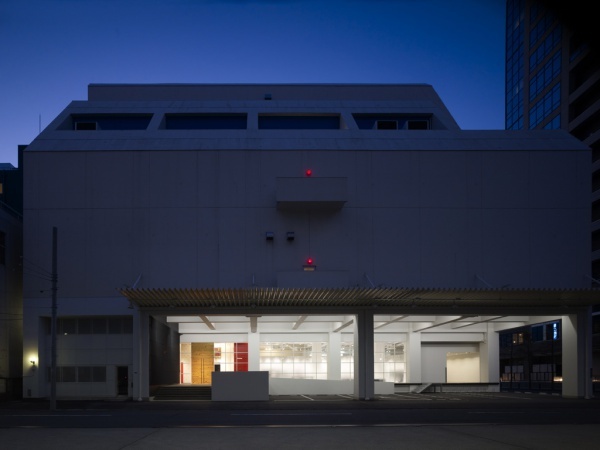 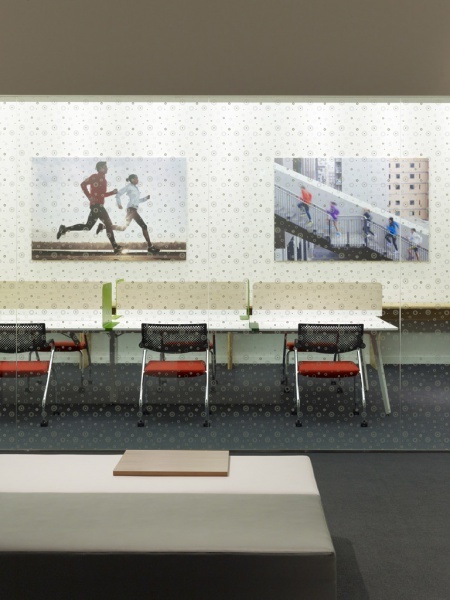 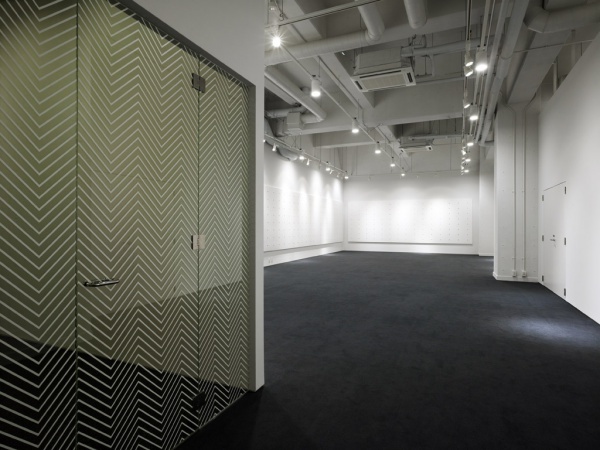 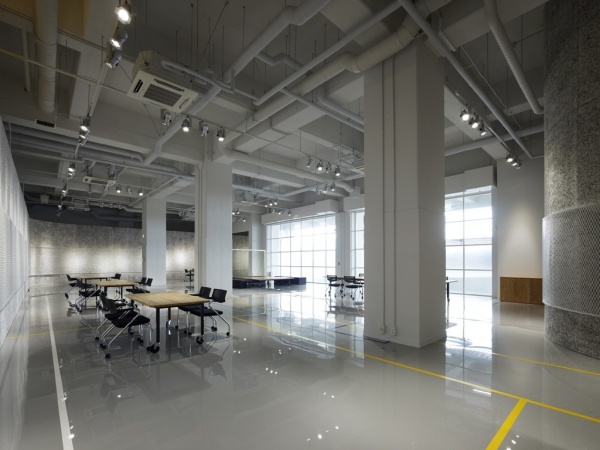 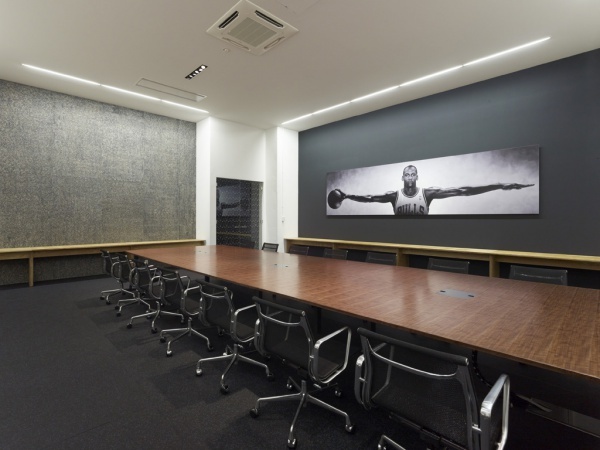 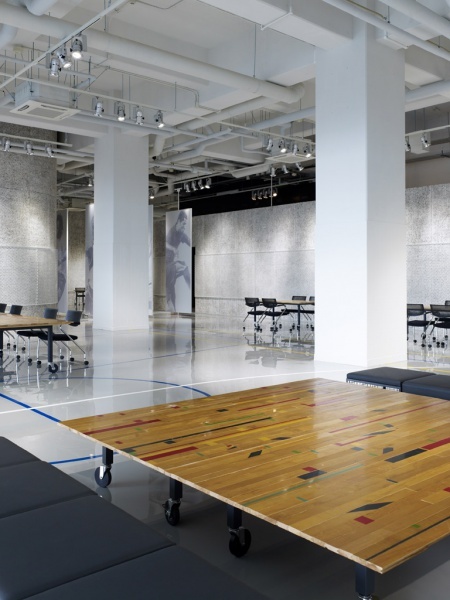 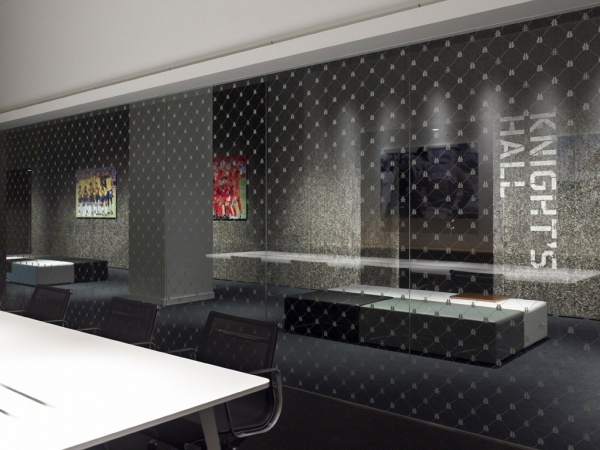 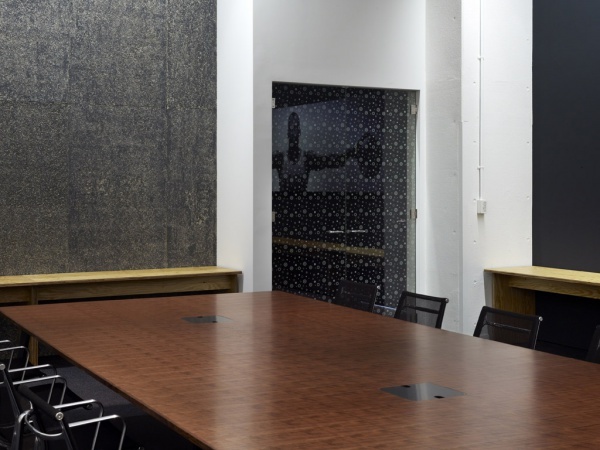 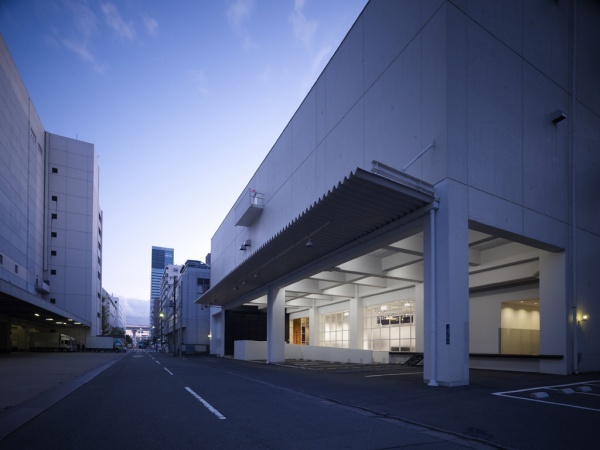 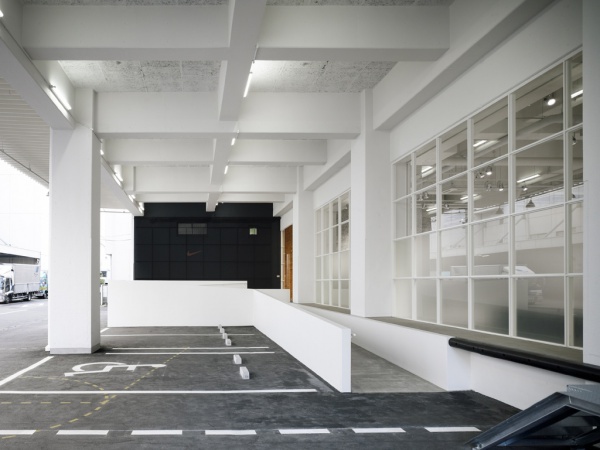 We performed the interior and exterior design on a building located in the warehouse district of the Tokyo Bay area that will accommodate the offices and exhibition space of a major sports brand. 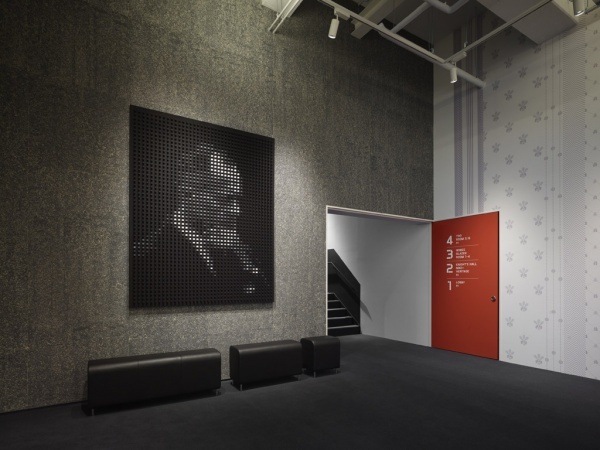 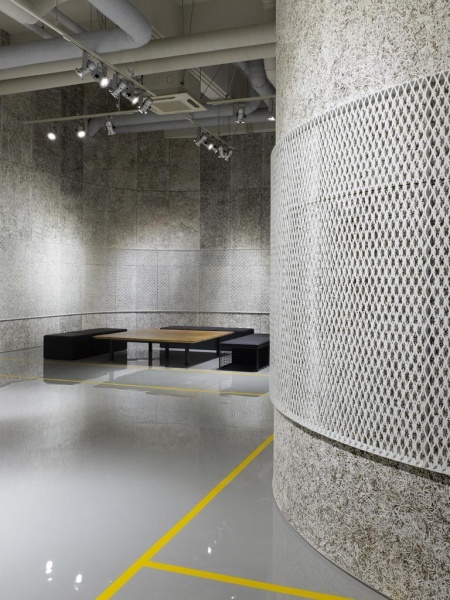 The renovated storehouse has 5 floors, 6m high each, representing a total floor space of 5600㎡ distributed between a merchandising space on the 1F, a hall on the 2F, exhibition spaces on the 3F and 4F with storage space on the 5F. 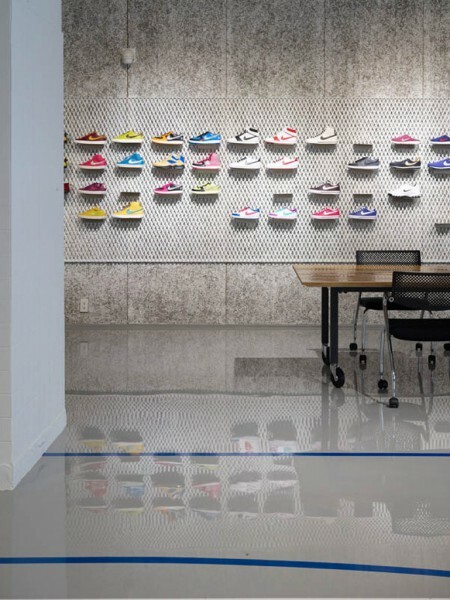 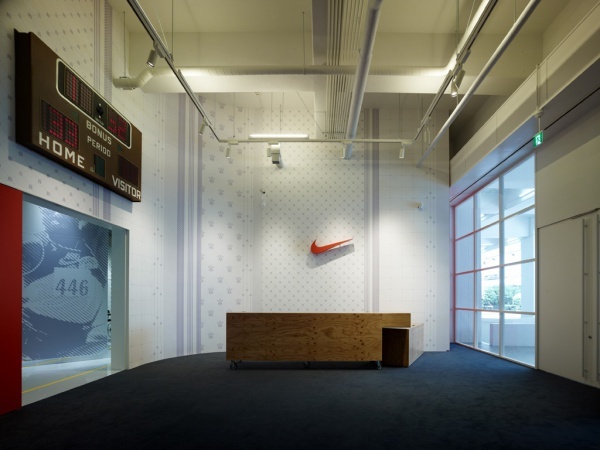 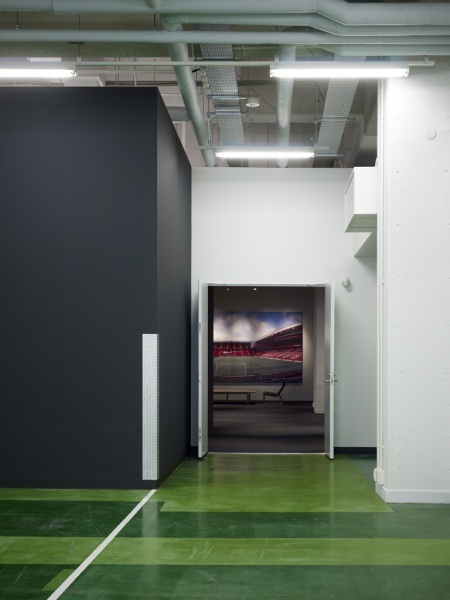 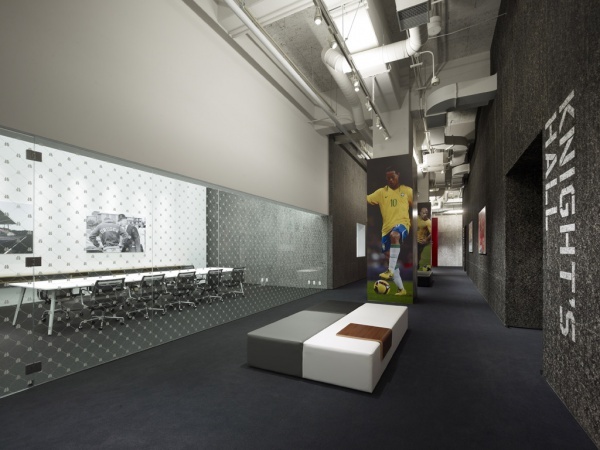 We began this project with one objective in mind; to provide the resident sports apparel company with a large yet appealing space to be used year-round for in-house exhibitions while making the best use of the existing building’s characteristics. 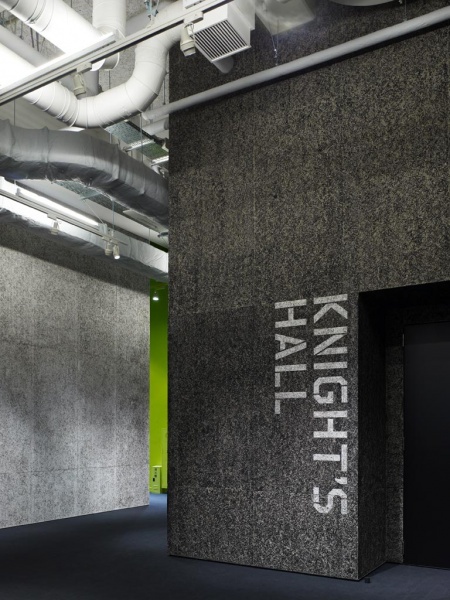 In order to do so, we left the large spaces completely intact and pondered at length on the elements to be included or removed. 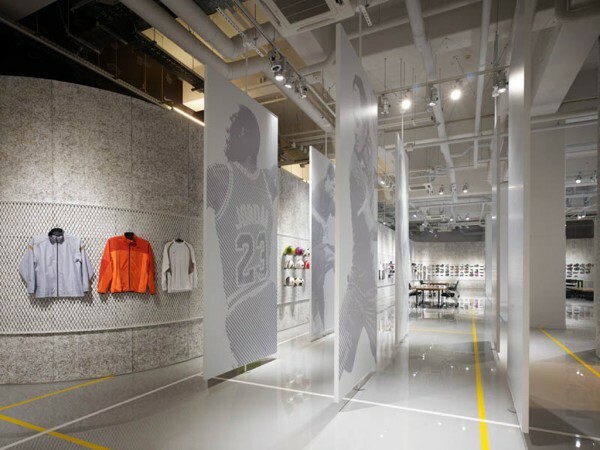 On the 1F, mesh panels were installed over the curving walls made from wood wool cement boards to display products and demarcation lines were drawn on the floor to create a flexible space in the image of a sports arena. 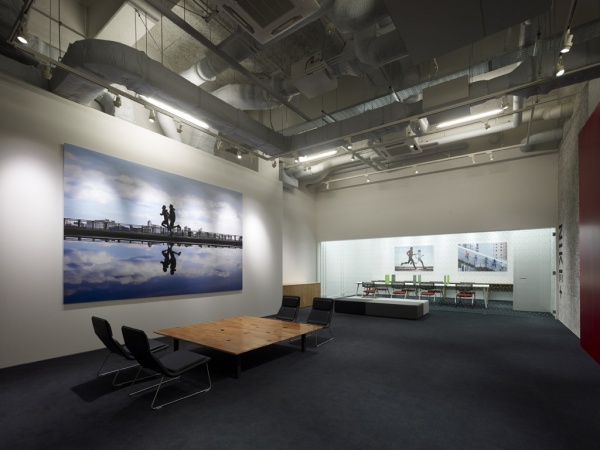 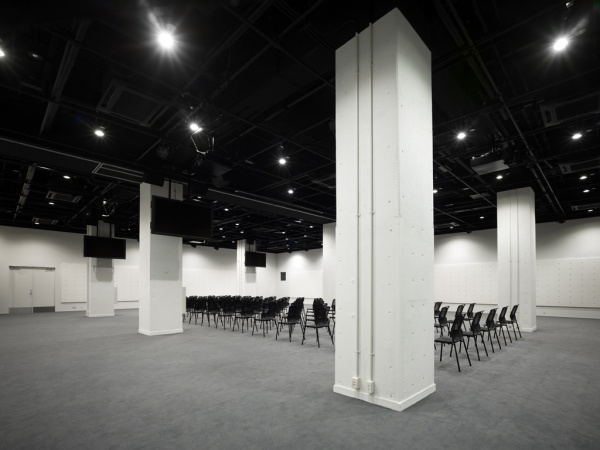 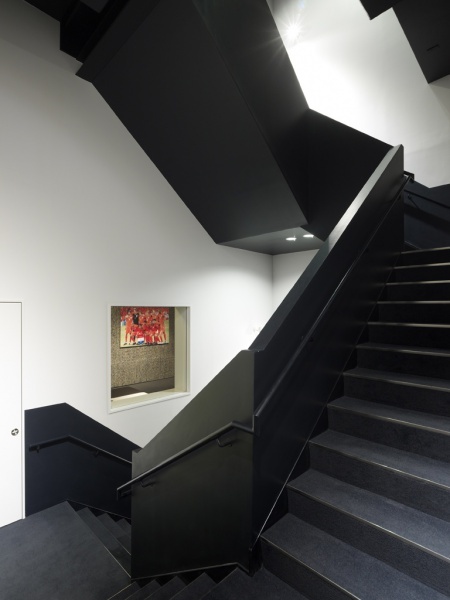 The design standard used for the upper levels features multi-purpose exhibition and meeting rooms, while leftover areas found between existing walls were converted into lounges or storage rooms to maximize space usage. 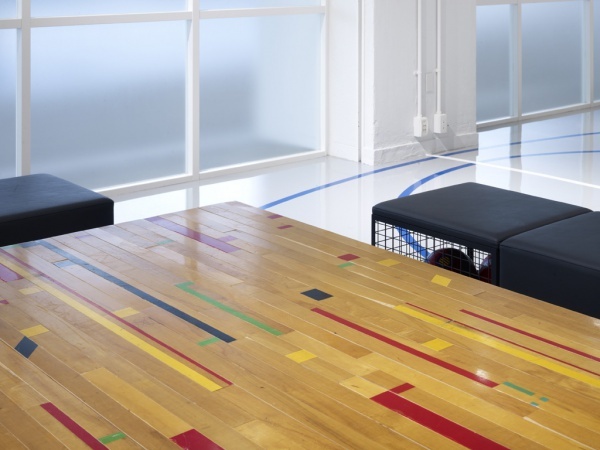 The wood wool cement boards used in the walls, the recycled scrap wood flooring used in the furniture and the court lines on the floor are all elements found in a gymnasium. 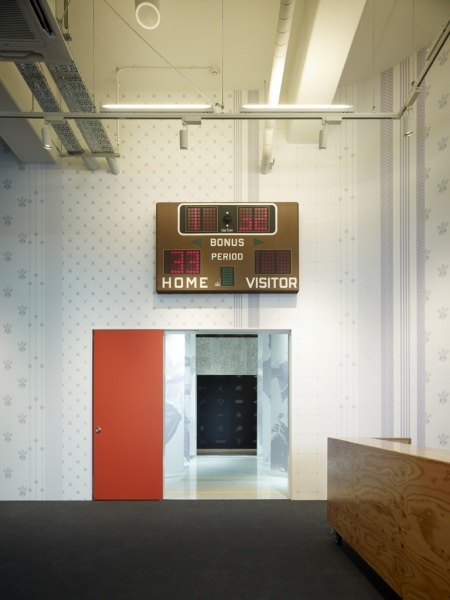 We tried to bring out the scale of the existing building frame and recreate the looks of a stadium by applying the names of important rooms in big letters directly on the walls. 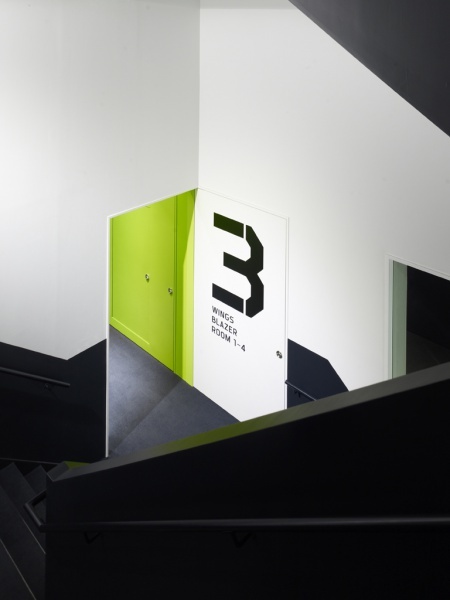 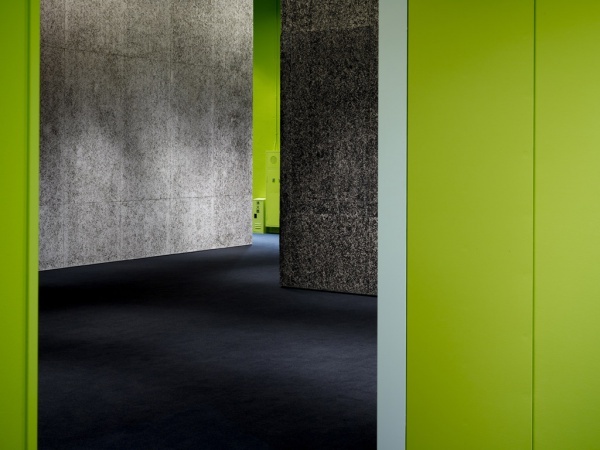 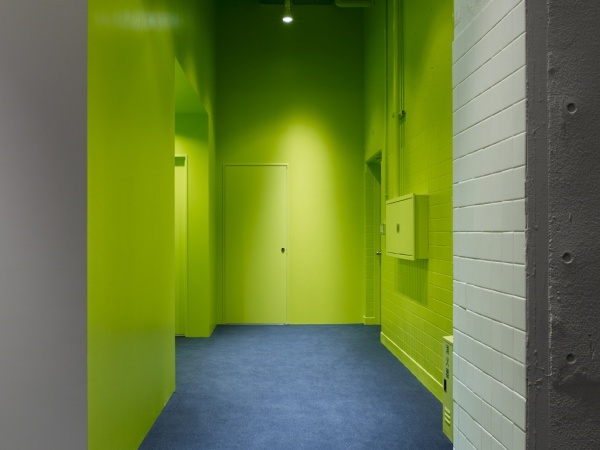 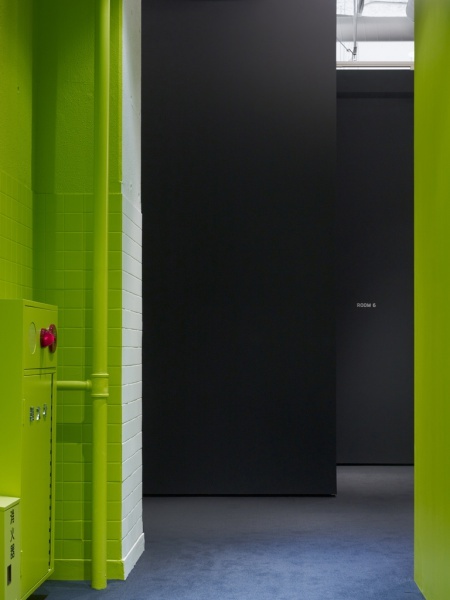 Different color schemes were used in different places on each floor to provide guidance and make visitors feel welcome. 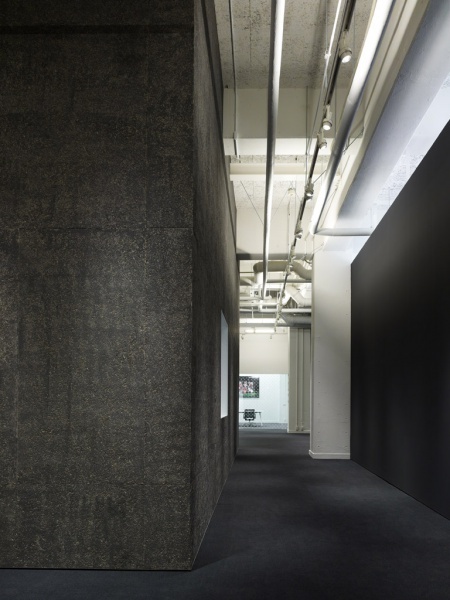 By matching the materials found in the existing ceiling with that of the new walls, we set out to blur the distinction between old & new, before & after and ultimately emphasize their equivalence.